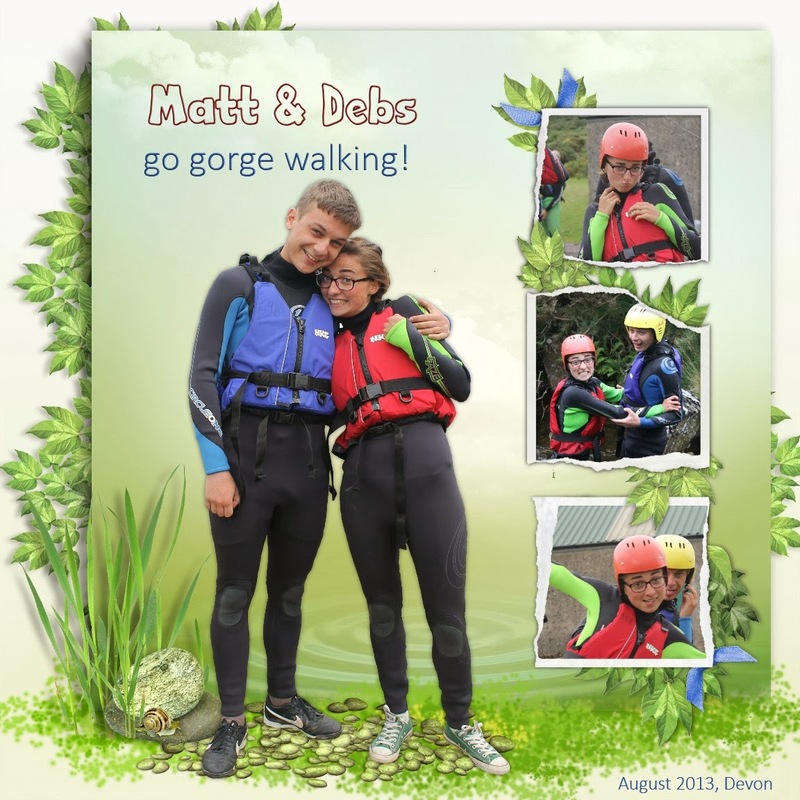 I've made this page for Matt & Debs by cutting them out and putting them onto a fantasy type background. It's a fun technique and I've seen loads of good examples on Daisy Trail. I think it lends itself to scrapping the fun photos you have and makes a change from the norm. I then thought that maybe this could be this week's challenge :)! 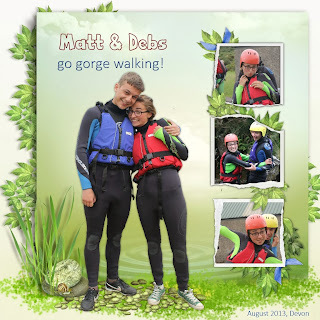 Simply create your page, using the cutting out (also called extraction technique) Upload to Daisy Trail in the normal way - Simples! Here are a couple of tips that work for me. They are poss not technically correct and certainly not 'expert advice' simply what I have found gives the best result ...through lots of trial and error! 1. Zoom in really close and use the largest brush setting. Grow tolerance off. Obviously you will need to use smaller for the really fiddly bits. But for some reason, using the largest brush seems to get the smoothest results...for me anyway. 2. When trimming large areas with a good contrast to the background, use the grow tolerance setting, but only have it on about 30. Any higher and I find it will start 'snatching' bits of what you want to keep...very annoying! 3. Make sure you select the best output type i.e. Alpha edged for images you want to blend into your background and Vector for a clean cut appearance. I've used Vector for my example page. Place your finished cut out image onto your fantasy background and voila....job done lol! I've used a kit called Fairy Garden by Alvetina, available on the Scrapbird website.